Mosquitoes are rather easy to repel, that’s because they are so sensitive to scents and smells. 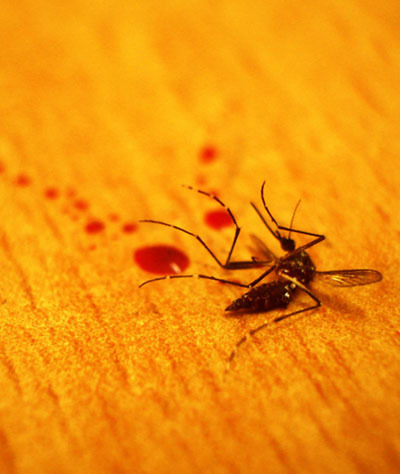 Repelling a mosquito effectively does not require much effort if you know what you are doing. Using the scent list below will get you on the right track very fast. Because you see, while commercial bug spray can be great for repelling insects, it can also contain chemicals, allergens, or smell extremely unpleasant. That’s where these natural odors come in to save you from those mosquito bites! Luckily, there are tons of scents and smells that repel mosquitoes and may be more appealing than your average bottle of bug spray. I’ve done the tests and found 21 scents that are effective at repelling mosquitoes. Keeping these pests from biting greatly reduces any problems resulting from irritating bug bites. Many of the scents on this list also repel fleas and other biting insects as well (or have other interesting uses). Sadly, I couldn’t bring myself to wear perfume, so you’ve got to trust me on that one from third-party sources. Apparently, Victoria’s Secret will get the boys wild too, ladies, so don’t hesitate to wear it on those evening outdoor occasions. Keeps the mosquitoes out but lets the men go wild. The multi-purpose of many scents on this list is quite apparent. The plants will for example greatly improve the look of your garden, while also attracting butterflies. What Scents Keep Mosquitoes Away? Lavender is such a lovely, appealing plant that has so many uses. It can be used in cooking and its fragrance can help relieve stress. That same scent can also help keep mosquitoes at bay! A few drops of this lavender oil on your skin (or mixed with water to create a spray) will keep flying pests at bay. 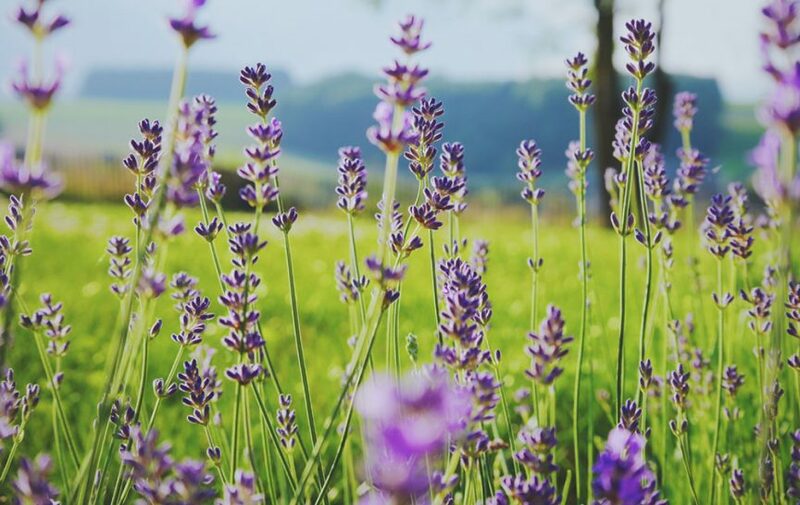 Planting a few lavender flowers in your garden can also brighten up your yard and repel mosquitoes at the same time. But do be careful when handling this plant: Some people are allergic to the scent of lavender and it can trigger migraines, so make sure to test your reaction before use. Unlike many other solutions listed here, this solution may require a bit of trial and error on your part. Mosquitoes have been shown to have an aversion to strong aromas and that extends to body sprays, perfumes, and cologne. Fun fact: Victoria’s Secret Bombshell perfume is rumored to be extremely effective at repelling mosquitoes, for instance. They also have a body lotion version, if you prefer that one. The Victoria’s Secret Bombshell body lotion has more reviews on Amazon, so it certainly seems to be the popular option. If you’ve read this far, you may have even recognized some of the other solutions on this list as ingredients for your favorite spray. It may seem silly to spritz yourself a few times with perfume or cologne before venturing to your backyard, but it really can repel mosquitoes and cut down on aggravating bug bites. A delicious herb you probably already have on hand, thyme creates an effective scent to repel mosquitoes. In order to use it most effectively, you’ll want to purchase thyme oil and mix it with another oil (or water) to create a repellent. If you want to use it directly on your skin, mix 4 drops of thyme oil with a base oil (such as jojoba) and apply. You can also create a homemade bug spray using 5 drops of thyme oil with 2 ounces of water. If you don’t have any thyme oil on hand but plan to be outside around a campfire, you can simply throw a handful of leaves into the flames to repel mosquito. Strong minty scents are incredibly unpleasant to mosquitoes and can help repel any would-be bloodsuckers. Luckily, peppermint smells delicious to humans and can be both a pleasant perfume and effective mosquito repellent. You can use peppermint to keep bugs at bay by crushing the leaves and rubbing them against your skin afterward. You can also use a few drops of peppermint essential oil in the same way. Peppermint plants around the house can also provide additional protection. As a bonus, peppermint oil can help relieve any itchiness if you forget to rub it on as a repellent before heading outside. In addition to being a delicious spice to use while baking, cinnamon can also help repel mosquitoes. If you’re looking to use it for repellent, purchase some cinnamon oil and create a solution by mixing 1/4 teaspoon of oil with 4 ounces of water. You can then spray the solution on your skin, hair, clothing, or even around your home. Cinnamon oil can also help cut mosquitoes off at the source. If you have standing water around your home where you notice mosquitoes laying eggs, applying cinnamon oil to the eggs will help kill them before the mosquitoes even get the chance to hatch. Basil is so much more than a delicious herb to add to your favorite pasta or pesto recipe: it can also be a useful tool in your first aid kit or beauty routine. The smell basil emits (which is pleasant to humans) is incredibly effective at repelling mosquitoes. The next time you are headed outside during mosquito season, create your own bug spray that’s safe for skin and hair with 1/4 teaspoon of basil oil and 4 ounces of water. If you have a green thumb, you can also grow fresh basil that will act as a 24/7 repellent to bothersome bugs. If you are looking for a more permanent scent to repel mosquitoes, consider a trip to your local garden supply store to purchase some geranium blooms. These beautiful flowers can effectively repel mosquitoes from your home when planted outside. They come in a variety of scents, so you could purchase a few different types to figure out what works best at repelling the mosquitoes in your area. Although they grow best in warm and sunny climates, you can keep them in planters so long as you prune them frequently. Geranium is also a popular ingredient in many types of perfume, so you could also purchase a bottle to ward off mosquitoes. Garlic is effective at repelling all sorts of bloodsuckers from cape-clad vampires to pesky mosquitoes. If you enjoy the taste of garlic, simply consuming it can help to repel mosquitoes by merging with your natural odor. Add a bit to your favorite pasta or other savory foods and you’re good to go! If you aren’t a fan of the taste, don’t worry! You can cut garlic cloves into slivers and scatter them outside to act as a barrier. You can also diffuse several cloves of minced garlic in mineral oil (allowing them to soak for 24 hours), then strain out the cloves and use the oil as a mosquito repellent spray. Pure vanilla extract can be an effective mosquito repellent. It’s important that the extract you use contains no additional additives (like sugar or alcohol), so make sure to read the label carefully. Mix a tablespoon of vanilla extract with a tablespoon of water; you can also add a few drops of an essential oil like peppermint to create an even more effective repellent. Once you’ve mixed everything well, soak a cotton ball and dab it on your skin to keep mosquitoes away. Bonus: vanilla smells wonderful and is a common ingredient in perfume and body spray, so you’ll smell good will keeping bugs from biting! Another member of the mint family, lemon balm is a common ingredient in many stress relief teas. Like peppermint, it’s minty/citrus scent is unappealing to mosquitoes and can be used to stop the winged pests in their tracks. To use it as a repellent, crush a few leaves and then rub them against your skin to deter mosquitoes (use the leftovers in your next cup of tea.) You can also plant lemon balm in your garden to keep mosquitoes at a minimum. Bonus: butterflies and bees love the smell of lemon balm, so you’ll swap the presence of bad bugs for good bugs! Neem oil has many natural bug repellent properties that can make it an attractive solution during mosquito season. Studies have found it to be an extremely effective solution to mosquitoes: Some experts claim a fresh application of neem oil repellent can keep mosquitoes away for up to three hours. Although it is an effective solution, avoiding applying neem oil directly to your skin as it can cause irritation. Instead, mix 50 milliliters of neem oil with your favorite lotion and then apply liberally to repel mosquitoes. You can also add a few drops to outdoor torches for even more protection. Bright golden marigolds can be a beautiful, vibrant addition to your garden. They can also be your greatest secret weapon: their very strong aroma repels a variety of winged insects, including pesky mosquitoes. Marigolds are perennials, so they grow best in warm and sunny climates. If you live somewhere cold, they’ll need to grow in planters. You can also purchase fresh-cut marigold flowers and arrange them in vases around your home for more protection. Like lavender, some people react poorly to the strong aroma so make sure to test your own reaction before planting them around your home. Soybean oil can provide a very effective, long-lasting solution to repelling biting insects. It has a somewhat chemical aroma reminiscent of fresh paint that can be a bit unpleasant to humans, but is downright intolerable to mosquitoes. Mix 1/4 teaspoon of soybean oil with 4 ounces of water to create your own bug spray, then use on your skin and clothes before heading outside. If you find the soybean oil odor a bit too strong, you can also add a few drops of another essential oil (like lemongrass) to the solution or couple it with your favorite perfume or cologne. If you are a cat lover or owner, you probably already know a bit about catnip. It can be a wonderful treat for any feline friends, but it can also keep biting insects away. Studies suggest Nepetalactone, the essential oil within catnip plants, can be up to ten times more effective at repelling mosquitoes than DEET. You can try planting some in your yard to act as a natural repellent or you can also crush a few leaves and rub them directly on your skin for a more direct approach. As a bonus, any leftovers can go straight to your favorite feline friend! Yet another essential oil that’s scent repels mosquitoes, bergamot can be a powerful natural bug repellent. It has a bright, sweet smell that’s commonly used to calm agitation, promote restful sleep, or lift one’s spirits. If you are interested in using its aroma to repel mosquitoes, you can add 1/4 teaspoon of bergamot oil to 4 ounces of water and use in a spray bottle on your skin. It’s also safe to spray on your hair and can add shine to your locks. You can also use a few drops in a diffuser if you’re going to be outdoors on your porch. Lemon eucalyptus oil has been a popular mosquito repellent since the 1940s. In fact, eucalyptus oil has been used in commercial mosquito repellents for many years. It has a very pleasant, citrus scent that mosquitoes simply cannot stand to be around but appeals to most people. If you would like to use lemon eucalyptus oil against biting insects, combine 1 teaspoon of lemon eucalyptus oil with 10 teaspoons of witch hazel. You can then use cotton balls to dab this mix against your skin or use it in a spray bottle. Although this mix is natural and an effective mosquito repellent, it’s not safe for consumption–so it may not be the best solution for very young children. Finally, a use for all the little pepper packets you might be collecting if you order takeout frequently! Black pepper has a spicy, subtle aroma that can help keep mosquitoes at a distance. You can sprinkle black pepper around your doorways or outside areas you frequent to repel mosquitoes. You can also purchase black pepper oil to use directly as a repellent. If using the oil, be wary that applying it directly to your skin may result in irritation. Instead, mix it with water or a base oil and use a cotton ball to dab it on. Tansy is not only beautiful and extremely easy to grow, but its scent is also a natural enemy to mosquitoes everywhere. Before you rush off to plant tansy in your garden, however, be advised that it can consume a garden if left unattended. Instead, it is advised to plant some tansy in a few pots to ward off mosquitoes. You can also add a cup of fresh tansy leaves to 1 quart of water and bring to a boil. Remove from heat and allow it to cool, then strain and place in a spray bottle. Spray the mixture on plants around your home or outside areas to repel insects. Cloves are another catch-all solution commonly used in natural remedies due to their antiseptic and pain-relieving properties. They can cure toothaches and colds, promote bone health, and ease upset tummies. They are also a great solution to repelling biting insects! Cloves have a spicy, warm, fruity aroma that can be very pleasing to humans and downright repulsive to mosquitoes. If you’re looking to use cloves as a mosquito repellent, you can stash a sachet of cloves in your pocket or purse whenever outdoors. The aroma of the cloves will leave you smelling wonderful while also keeping mosquitoes at a distance. Plant scents are amazing at keeping insects at bay. And marigold plats will actually look great in your garden as well! There is absolutely no reason for you not to get some marigold seeds and plant them in your yard. If you want some more information on plants to place in your garden for repelling insect pests, I highly recommend you to check out this practical article I wrote. And there we go, we reached the end of this list. Now we have exactly 21 scented solutions to get rid of those annoying bloodsucking insects. Did you recognize any of the scents and smells listed above? Were you surprised by any of the entries? With these 21 aromas, you can finally venture outside without worrying about being bitten by mosquitoes. Many of these items can also be combined to provide even more effective protection. Remember that mosquitoes also spawn in standing water, so make sure to frequently change any water in your yard to reduce mosquito birth rates. Wearing protective clothing can also help reduce the risk of being bitten. Next time you are looking for a scent to repel mosquitoes, take a look back at this list and enjoy your mosquito-free time outdoors. If you want to increase your arsenal directly with some more heavy-duty anti-mosquito solutions, check out some of these product reviews I made.